Annie’s Cottage in Wellington, near Seascale sleeps 2 people. 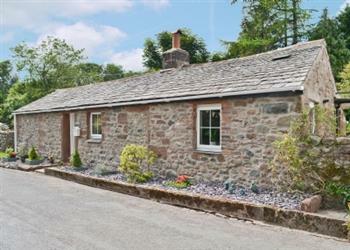 Annies Cottage in Wellington is a quaint and cosy detached holiday cottage set on the edge of the Lake District National Park. Annie’s Cottage is perfectly set to explore the Lakes or the West Cumbrian coastline. The cottage is in an area of English extremes; nearby is the deepest lake, Wastwater, the highest mountain, Scafell Pike, and the smallest church, the Church of Saint Olaf. Also, nearby is La’al Ratty, meaning ‘little railway’ in olde Cumbrian dialect and it is the oldest and longest narrow gauge railway in England, taking passengers from the old Roman Port of Ravenglass, seven miles through Eskdale, making the most of the truly stunning scenery. The journey itself was one of Wainwright’s favourites. Muncaster Castle is only 7 miles away and provides plenty of entertainment for all ages. When you have finished exploring, Annie’s Cottage is the ideal place to return to with a well-equipped kitchen with double range, and a multi-fuel burner in the living room to warm you back up on those winter nights. In summer, make the most of the weather by relaxing with a glass of wine in the small yard next to the beck that runs alongside the back of the cottage. The beach is 4 miles, with the shop and restaurant being 1 mile from Annies Cottage in Wellington. The nearest pub is ½ mile. Annies Cottage in Wellington is all on ground floor: Living room with beams. Dining room/kitchen. 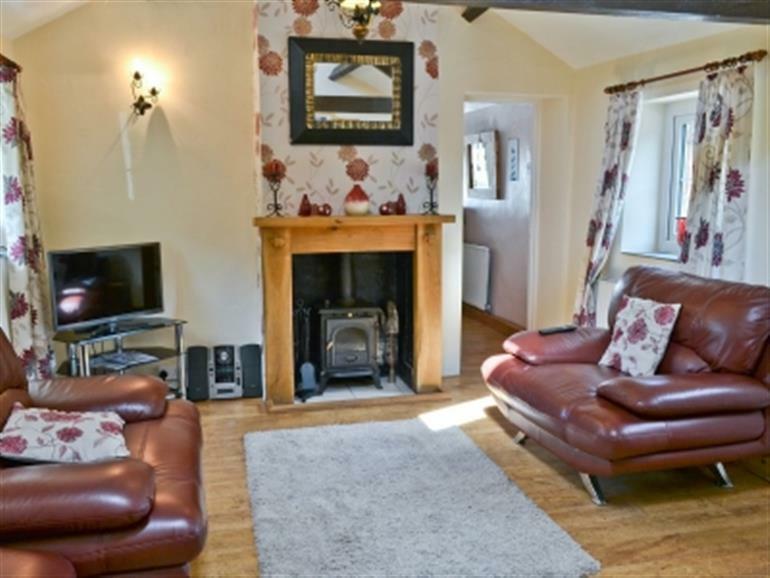 1 double bedroom with beams. Bathroom with shower attachment, toilet and Velux. Most rooms with wooden floor. Multi-fuel burner in living room (initial fuel included). Gas central heating, electricity, bed linen and towels included. Travel cot and high chair on request. Freeview TV. DVD. CD. Electric range. Microwave. Washing machine. Freezer. Small courtyard with patio, sitting-out area and furniture. Barbecue. On road parking. Cycle store. Welcome pack. Pet free of charge. No smoking. Holidays at Annies Cottage in Wellington run from Holidays run from Friday to Friday. NB: Beck in garden, 1 yard. For a better idea of where Annies Cottage is, you can see Annies Cottage on the map below. Annies Cottage is in Cumbria; should you be on the lookout for a special offer, you can find all the special offers in Cumbria. It's always worth checking to see what is on offer at the moment. Do you want to holiday near Annies Cottage (30281), you can see other cottages within 25 miles of Annies Cottage; have a look to find your perfect holiday location.